When it comes to music, most people can handle a band breaking up. It stings, sure, but at least you know the intraband relationships didn't work out or that the artist in question found their creative well had run dry. It's accepted that new music probably isn't in the works, and people move on with their lives, content with the audio memories of amazing musicians. The Beatles were probably the biggest example of a band breaking up, but most people have coped pretty well in the several decades since that painful split. Music fans have a much harder time dealing with artists or bands that are still active but for some reason haven't graced the music-loving public with an album of all-new material. Maybe squabbles within the band have hindered the writing process. Or perhaps legal woes have made it impossible for an artist to concentrate in the studio. There are myriad reasons these things happen. Here's why many of your favorites musicians haven't been in the new releases section for a while. 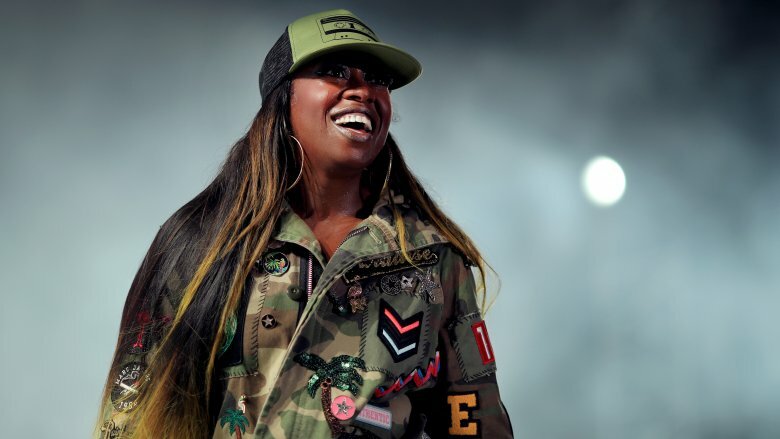 Missy Elliott was a mainstay on MTV with her eye-popping videos and memorable beats. The hip-hop singer and producer had quite a hit streak in the late '90s and early 2000s and is best known for her smash hits "Work It" and "Get Ur Freak On." That's why it's weird that we haven't really seen much of her musically, besides the occasional appearance with another artist, like the famous 2015 Super Bowl halftime pop-in with Katy Perry. And it's because of an almost-car accident that Elliott had to take time away from the business. But most of the music-purchasing world had no idea why she disappeared. A mystery autoimmune illness called Graves' disease began affecting the star around 2008, though she wasn't aware until she tried to press down the brakes of her car and discovered that she couldn't, which almost caused her to wreck. She had already been suffering from tremors and noticed she couldn't do normal motor tasks like holding a pen without a lot of effort. That's when doctors pinpointed the thyroid condition. She underwent radiation treatment and claims to be fully healed currently, and is even teasing new music, which would be her first album since 2005. Six Grammy awards. Over 25 million records sold. 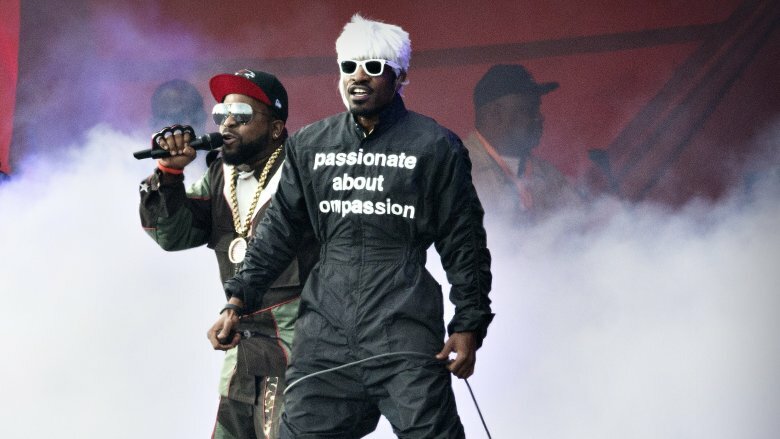 Outkast doesn't need an introduction, as they're easily one of the most successful hip-hop groups ever. And maybe that's why, after 2006's Idlewild, the group decided they didn't really have to prove anything to anyone. 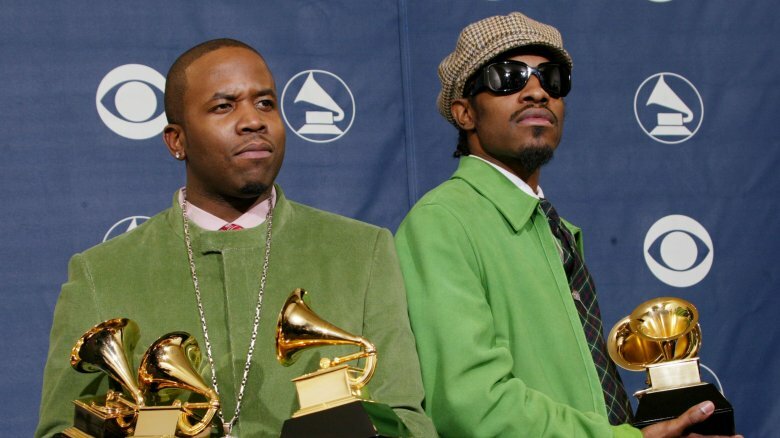 With Big Boi's elastic rapping style and Andre's esoteric lyrics, the two complemented each other in their diversity, and as they aged into their 30s they became confident enough in their differences to explore their own avenues of creativity. And that's fair — their two landmark albums alone, Aquemini and Stankonia, would be a fine career for anyone. Andre especially started to discover a love for acting that he hadn't previously been aware of. He even played the role of Jimi Hendrix in a 2012 biopic. He found it came so naturally that he put rapping on hold for quite some time and didn't really seem to miss it. 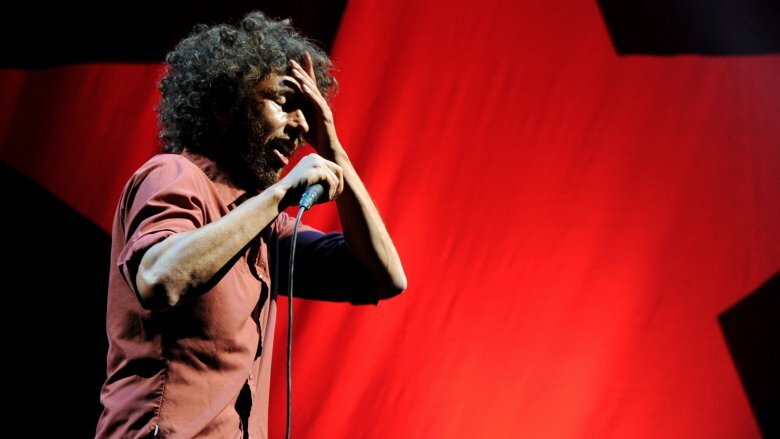 When an interviewer asked in 2017 what he hoped to be doing in ten years, Andre remarked, "I hope to God it won't be rapping." Big Boi, however, stayed with his preferred craft and has put out three acclaimed solo albums to date. The pair did reunite for a 2014 tour and seemed to enjoy each other's energy onstage, but even before the tour started Big Boi said a new album wasn't in the plans at all. 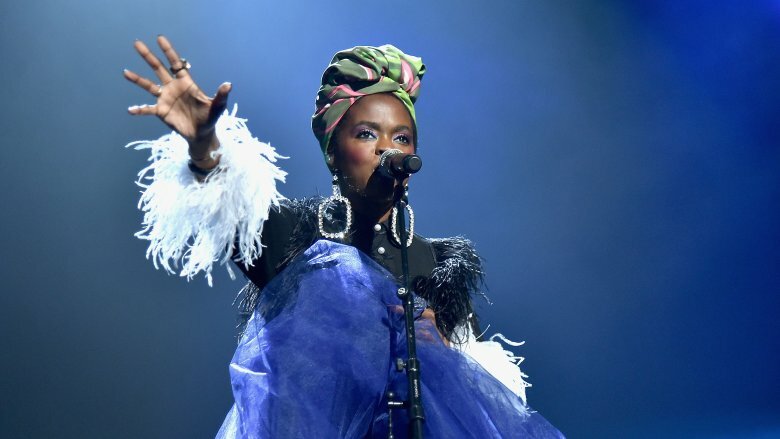 As the heart and soul of '90s hip-hop legends The Fugees, Lauryn Hill has long been revered by fans, despite only having one true album to her name. The way she can gracefully flow from limber rap lyrics to one of the most soulful singing voices you've ever heard is nothing short of staggering. That's why, when she struck out on her own with the blockbuster 1998 debut, The Miseducation of Lauryn Hill, it's not surprising the album went eight times platinum. But after that, Lauryn developed a reputation for being … difficult. Several musicians who played on her album reported not being paid for their work. Hill ponied up $5 million to them in a settlement. In 2000, she fell in with a spiritual adviser named Brother Anthony, whom Fugees bandmate Pras referred to as basically a cult leader. Lauryn fired her management and ditched her confidants. In 2001, she recorded a lackluster Unplugged album with damaged vocal cords and long rants about celebrity. Two years after that, she went to jail for three months on tax evasion charges. She has just recently started full-scale touring again, but it's not clear if new music is part of her re-emergence. If you want to talk about a guy who's on extended vacation from putting out new releases, let's talk about Billy Joel. The singer and pianist hasn't put out new original music since 2001, and for that he composed classical piano pieces that his friend performed. You have to go all the way back to 1993's River of Dreams for anything resembling a hit. And Joel himself has admitted to getting pretty tired of pop music overall. He delved into the issue with The New Yorker in 2014. Joel said he's aware people think he's lazy, but the real reason for his absence from the mainstream is he's seen similar artists putting out the requisite annual releases and seen how tired and irrelevant they end up being. He did admit to not feeling the ambition for the whole process that he did in his younger years. He released a live album in 2011, but it had been recorded in 2008, which should tell you exactly how much drive he has to get an album published. 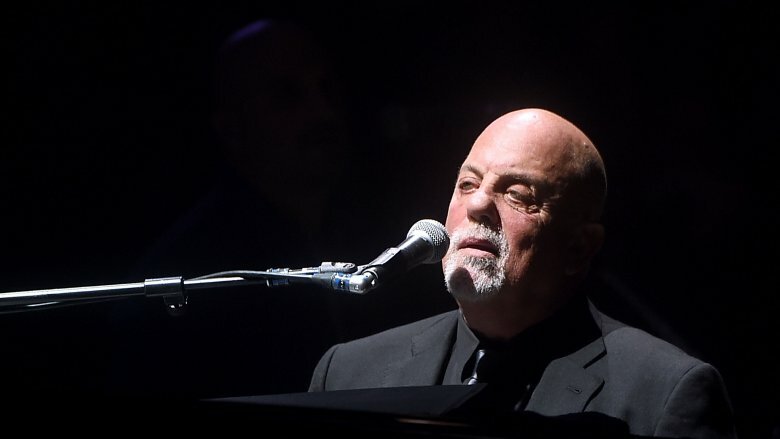 Billy Joel, if you were worried, is doing absolutely fine, by the way. He's had a remarkable monthly residency at Madison Square Garden that's been going on since January 2014. They've all sold out, easily. Maybe selling out a world-famous arena for that long is at least as good as making a new album. Rage Against the Machine was a punch in the teeth to everything corporate America stood for in the '90s. And that's not just speaking musically. They backed up their fervent rhythms with just as much political angst. In the span of three proper studio albums, Rage set fire to the status quo and then, just as quickly, vanished in the smoldering ash. They broke up in 2000 after vocalist Zack de la Rocha said the band couldn't agree on anything anymore, but they did reunite for shows in 2007 and played a music festival in 2011. But a band with so much to say about the world has always been silent about their personal relationships and interactions. Guitarist Tom Morello stresses that they've all always been on the same page politically, but it's everything else in their musical marriage that is a confrontational mess. 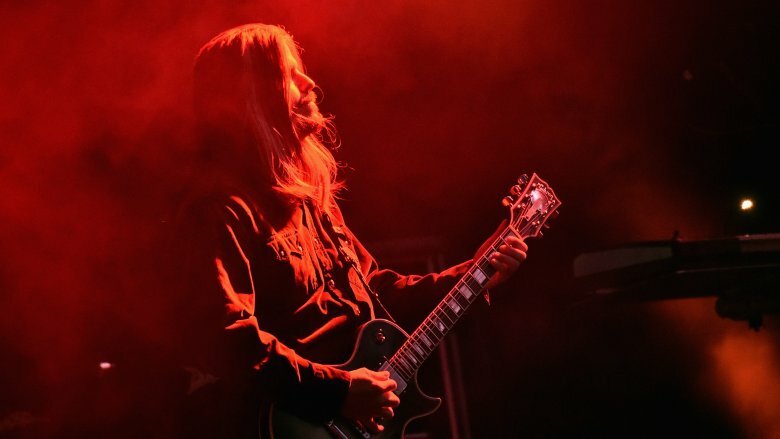 "Lack of emotional maturity" is something he points to, especially with himself, as well as competing visions within the band of where it should be going. Morello also says it's a miracle the band lasted as long as it did in the first place. It surely didn't help that vocalist Zack de la Rocha got ditched by his bandmates, who all went off and formed Audioslave and saw incredible success. The Rage members can still hang out and get along, but a full reunion with new music hasn't happened yet. One of the quirkier bands to become mainstream in recent memory, System of a Down took their Armenian heritage and stirred in some metal riffs, creating a potpourri that resulted in five critically acclaimed albums. The last two, the companion pieces Mezmerize and Hypnotize, both came out in 2005. They toured behind the albums into the next year before guitarist Daron Malakian announced they would take a several-year hiatus. During that time, Malakian stole System drummer John Dolmayan for a side project called Scars on Broadway, which saw modest success. Singer Serj Tankian embarked on a solo career, which saw considerably more fanfare. System of a Down reunited for concerts in 2011, and it quickly became clear that working on new music wasn't going as easily as it had in the past. 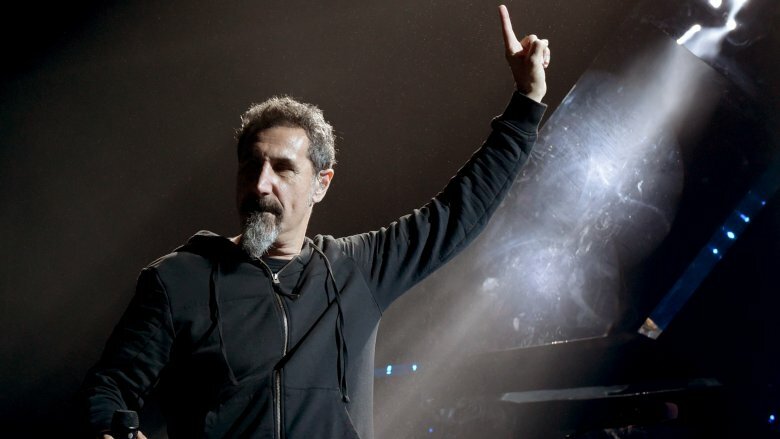 Dolmayan would say an album was imminent and then Tankian would publicly shoot it down. Bassist Shavo Odadjian angrily posted on Facebook in 2013 that Serj was the reason behind the lack of new music. Serj said soon after that outburst that he simply didn't have time for the "three years" a new album cycle required. And it went on for years. The most recent update was June 2018, when Tankian redirected songs he'd intended for System to his solo album. The outlook for new music is currently grim. When Oasis burst onto the music scene in the mid-'90s, they were famously touted as the next Beatles, something they even bought into themselves at times. The string of hits they produced in a short span helped keep that from being the most ridiculous thought anyone ever had, though not by much. Then stardom took hold, and the brothers that led the band, Liam and Noel Gallagher, got to work hating each other to an absurd degree. 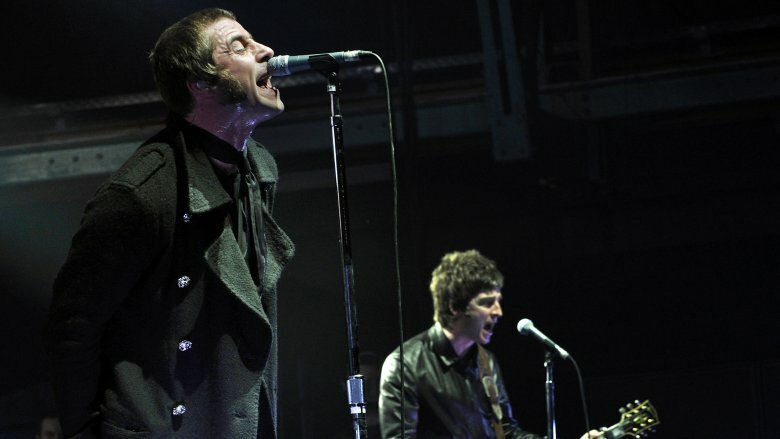 At a 1994 show, Liam derided American audiences and hit his brother with a tambourine, causing Noel to quit the band for a few days. Two years later, the band was slated to perform on MTV's Unplugged, but lead singer Liam pulled out with a supposed sore throat. The show went on with Noel taking on front man duties, but his brother loudly heckled the band from a balcony during their set. Unsurprisingly, this caused another rift, with Liam skipping a couple tour dates that followed Unplugged. The brotherly spat basically continued off and on until 2009 when Oasis canceled a gig and Noel blamed it on his brother's hangover. Liam sued Noel. (He would eventually drop the suit.) Not a week later, Noel announced his departure from the band. Both brothers have since begun successful side projects. With a history like they have, it would really be shocking if they actually managed to record and release new music as Oasis ever again. Many bands would have called it quits when confronted with something like the 1995 death of Jerry Garcia, an integral founding member of the Grateful Dead. He led the group with a diverse set of talents that helped the Dead traverse genres of music from bluegrass to quasi-disco. The mourning from the band after his death lasted about three years before they started new projects with surviving members of the Dead. There was The Other Ones, Ratdog, The Dead, and now the current iteration, Dead & Company, fronted by John Mayer. 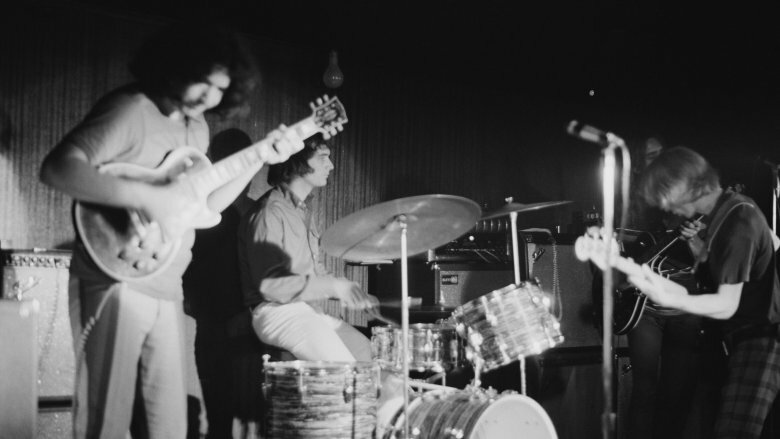 They all played Grateful Dead songs and catered to the touring and concert environments that they enjoyed in their heyday of the '60s and '70s. Curiously, since 1995, they haven't put out a single note of new music under the Dead moniker. And none of them really addressed that matter until 2018 when percussionist Mickey Hart said they're just a performance band these days. He also went on to knock the Grateful Dead legacy a bit, saying they "never made great records" even in their prime and that it was always a chore in the studio. So while the Dead members continue to perform for the world on stages, you probably shouldn't hold your breath for new music. 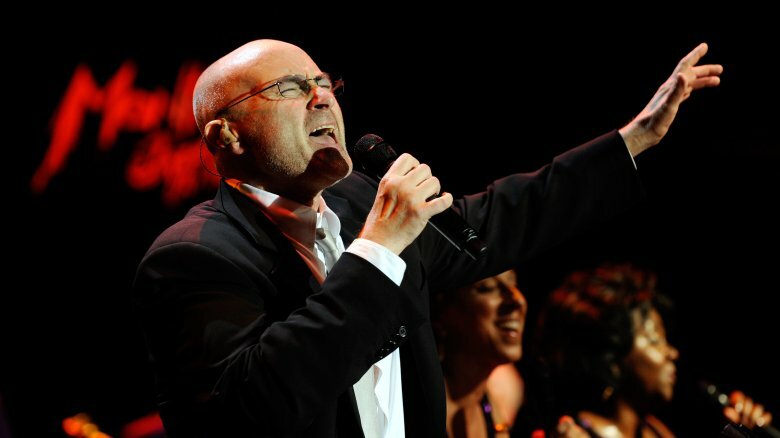 There are probably few people more synonymous with the 1980s than Phil Collins. Between his solo work and the albums he put out with Genesis, he left a string of massive hits in his wake. He even has an iconic air drumming moment when his song "In the Air Tonight" busts out. Not many rock stars can boast that. Once the '90s arrived, however, Phil's work took on a more adult contemporary flavor, and he began settling into a groove of cover albums and Disney soundtracks. Although Collins released an album of Motown covers in 2010, most fans probably would have preferred some new originals. He said he was retiring from music in 2011, pointing to a desire to be with his family but also because his body was completely breaking down. In 2000, Phil went completely deaf in his left ear, which is obviously pretty serious for a musician and singer. Several years later, a dislocated vertebra led to him suffering nerve damage in his hands and unable to play his beloved drums. That's quite a blow for a man considered one of the greatest drummers of all time and a member of one of the most revered progressive rock bands of all time (the aforementioned Genesis, before their '80s mainstream era). Recently, Collins revealed that his health is good enough for him to resume touring, so maybe his creative spark and rejuvenation will lead to a new release, but we haven't seen it yet. Let's start right off the bat with some good news: Tool's long-awaited next album seems like a sure thing. Sure, they've said that for years now, but for once, everyone in the band seems to be on the same page, and word as of March 2019 is that they're in the "album art" stage of the process, which means things are pretty close to finished. It seems unfathomable that Tool's last album was 10,000 Days, way back in 2006, but there are some reasons why things have moved at a snail's pace. A lawsuit leveled against the band in 2007 pretty much stopped any momentum the band might have had. A friend of guitarist Adam Jones reportedly wanted credit for art he made for the group, so he sued. Then the band got sued by an insurance company (which was actually supposed to be defending them) over "technicalities regarding the case." The band countersued, and the legalese slogged on for years until Tool finally won in 2015. The band itself is also just really slow to produce new music anyway, as front man Maynard James Keenan expressed frustration at not being able to lay down vocals because the foundations of the songs take so long to happen. But again, we can't complain too much because new music from Tool seems like it's finally happening. Here's hoping the album can drop before anyone files another lawsuit. When guitarist David Gilmour seized control of Pink Floyd in the early '80s after over a decade of being led by bassist and primary lyricist Roger Waters, it opened a rift that had already been years in the making. Waters had already embarked on a solo career, but tried to fight Gilmour and the rest of the band in a lawsuit, which he ultimately lost. 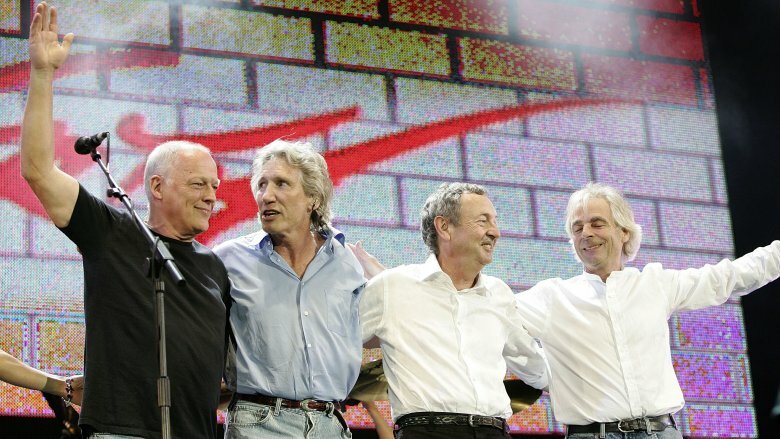 Pink Floyd would see some of their biggest years financially after the split, hosting huge concerts and building an almost Grateful Dead-like following. But Waters and Gilmour's hatred for each other over what the band became cast a shadow over everything. Waters wasn't even part of Pink Floyd's induction into the Rock and Roll Hall of Fame in 1996. That's why it was an absolutely stunning move when it was announced the full original lineup would play the Live 8 festival in 2005. The worldwide concerts gave them one of their biggest stages and exposure of their lives, and they amicably played three of their hits, before sharing a group hug at the end. The band was offered an obscene sum to play a tour immediately after, which they declined. Keyboardist Richard Wright would die three years later, ending the chance of a full reunion. But the surviving members weren't quite done, apparently. They went back to the well in 2014, digging through studio recordings of previously unreleased music from the '90s that they then dressed up as The Endless River, the band's 15th studio album, mostly instrumental music. That makes their exact album-releasing status a little fuzzy for this list, but it's probably not within the spirit of the "new music" most fans would be hoping for.